Time for another Metrics Monday Wednesday. I keep telling myself that I won’t be able to keep up my 1,000 words a day average and then I get so close that my stubborn streak kicks in and I make a final push past the 7,000 word total. 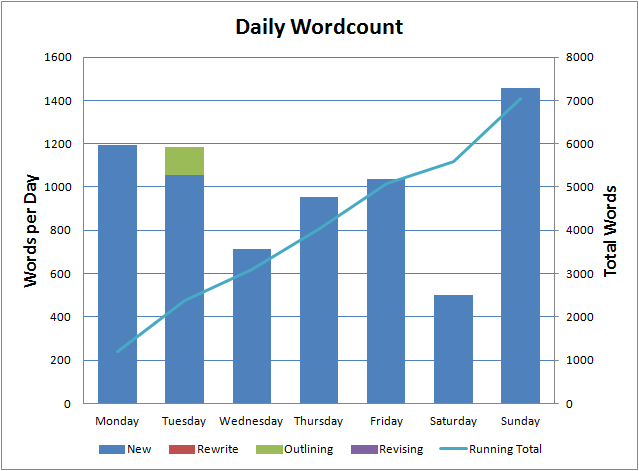 Last week I made it to 7,044 words. 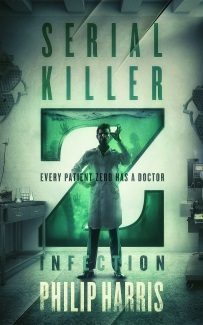 Last week was a mix of The Zombie Book and a new short story that I can’t quite settle on a title for. The first draft is sort of finished but I’m going to spend some time on it this weekend to get to a real first draft. Then I’ll set it aside to fester, probably until I head off to the Stanley Hotel Writing Retreat at the end of the month. The Zombie Book is progressing nicely although the switch to the new short story did take away some of my momentum. I may take advantage of that and spend a few days wrapping up Leah so that my plate is clear and I can make a final push to complete the first draft of The Zombie Book. I’m hoping to do that, and outline and start a sequel by the end of the month. Yes, there will be more than one Zombie Book.